From thrilling roller coasters to exciting water slides, Worlds of Fun & Oceans of Fun in Kansas City delivers double the fun in one theme park. An ideal vacation destination for the whole family, you can enjoy all 235-acres of rides and slides featuring more than 100 family rides, thrill rides, waterslides, shows, and attractions including seven world-class roller coasters. Worlds of Fun is now open, and Oceans of Fun has just opened its doors making for a unique and all-new experience! Right now on TicketsatWork.com you can save over 40% on an exclusive single day bundle. 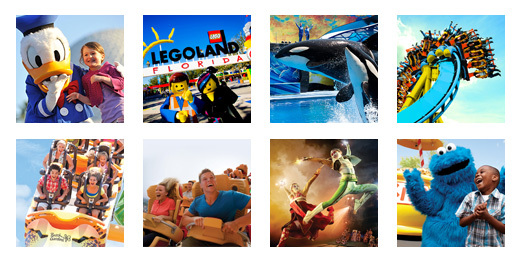 With summertime calling, now is the time to take advantage of these great savings for a sensational theme park experience. Diamond Head – Choose between Waikiki Wipeout, Maui WoWee, and the Honolulu Lulu, three twisting turning water slides together reaching over 900 feet in length. Surf City Wave Pool – Over one million gallons of water refreshment await in a Caribbean waterfront setting. Huge waves every 10 minutes and zero depth entry. Worlds of Fun Railroad – Great for the kids! A fully functioning replica of the great steam engines from the turn of the century. Travel across a 5,300 foot track that winds throughout the park. Fury of the Nile – A six person river rafting ride. Rafts float down high speed rapids, often rotating rapidly throughout the adventure. Every ride is different! Some members of your party may get soaked! 1,800 feet of river rapids with a waterfall finish. Let’s just add a few more extra special features to our list for Worlds of Fun & Oceans of Fun! Guests of all ages can enjoy Paradise Falls, a water playhouse that includes water cannons, buckets, geysers, slides and more. The kids are going to love Crocodile Isle, a 2,000 square foot spray ground complete with mini water slides and Captain Kidd’s Pirate Ship. The ‘big’ kids can cruise over to Castaway Cove, featuring a swim-up cabana serving tasty cocktails. Jump back over to Worlds of Fun and try out Prowler, a two-and-a-half minute high speed chase that begins with the ride’s only feature above the trees’ cover, a swooping 85 foot plummet into a ravine. Summertime is upon us, so make plans to enjoy a day filled with rides and slides at Worlds of Fun & Oceans of Fun – it’s the coolest place in Kansas City to slide, splash, chill and dine. Also, make the vacation even more enjoyable with savings over 40% on an exclusive single day bundle with Tickets at Work!